LXR Source code For the interested, the source code is available as a git repository at git://lxr.linux.no/git/lxrng.git. Not all of the functionality present in mainline LXR is available in this version, and the documentation is unfortunately rather sparse. 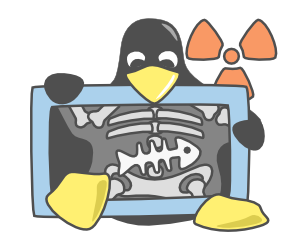 Don't hesitate to contact lxr@linux.no with any questions, though. Thanks Perl, CPAN, PostgreSQL, Xapian and Excuberant Ctags are invaluable components of the lxr.linux.no infrastructure. Additionally, Redpill Linpro AS generously provides the hardware and network connectivity required. About lxr.linux.no is provided as a non-profit service to the public in the hope that it is found useful. It is herded by Arne Georg Gleditsch in his spare time. What's new 2013-08-01 The freetext search index for the Linux kernel is currently in the process of being rebuilt, as it has suffered some form of corruption. The freetext search functionality will be absent or spotty while this happens, but at least the server errors that some of you have reported lately should be gone now. 2010-05-07 A badly timed hardware malfunction brought lxr.linux.no offline for several days. Thanks to the folks at Redpill Linpro for bringing the server back online -- apologies to everyone else for the interruption of service. 2010-02-06 A couple of rather embarrasing cross-site scripting holes have been plugged. Thanks to Dan Rosenberg and Moritz Naumann for bringing them to my attention. 2009-08-16 Reindexing is now complete for all repositories. The Ajax interface has been made the default for Gecko-based and Opera browsers. The navigation interface can be changed by clicking Prefs in the upper right corner. 2009-08-12 lxr.linux.no has had its operating system upgraded to Ubuntu 9.04, and the LXRng software itself has been updated to the most recent version. The currently running version is tagged as v1.2, and requires an index rebuild. This is still pending for some repositories, but should be complete in a day or two. 2008-06-02 Problems concerning a change of ip address unfortunately left lxr.linux.no unavailable for (at least) the past day or so. As they say, we apologize for the inconvenence. Things should be back in working order now, but if you experience connectivity-related issues please holler. 2008-02-28 Thanks to Ahmed S. Darwish and Fred Koehler, there are now actually two step-by-step guides to choose from for anyone wanting to try out LXRng under Ubuntu 7.10. Ahmed S. Darwish has published a guide on his blog, while Fred Koehler contributed the following document. A big thank you to both of them.